Bobcat is extreemly nice and her art is equally nice. Be thankful to her cuz' early on in the sites history she kept reminding me to update, plus she made the first art submission in the history of this site. All art and characters on this section of the site are copyrighted property of Bobcat. Ask here if you wanna take them. Thumbnail images are coming soon guys. 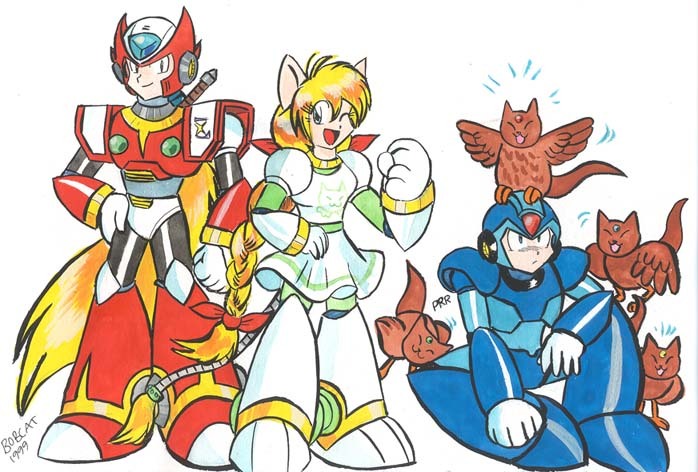 gang2.jpg A nice picture of Zero, Paw, X and some weird cute creatures. 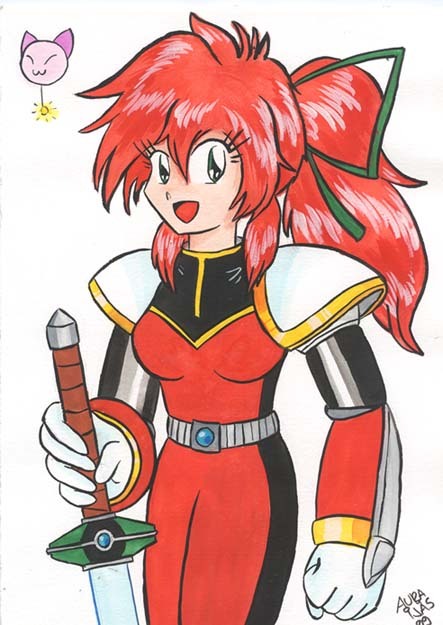 Methinks Bobcat has a stong sense of humor and prefers Zero to X.
someone2.jpg A picture of some unnamed red-headed reploid... 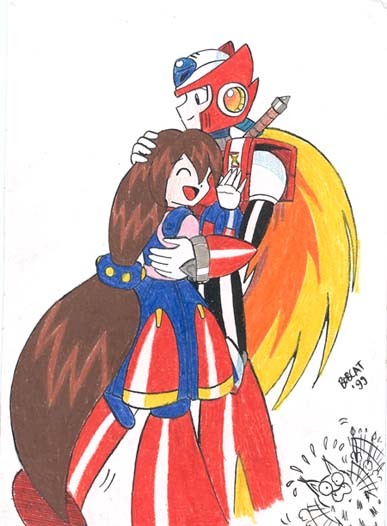 I think she's a reploid anyway. 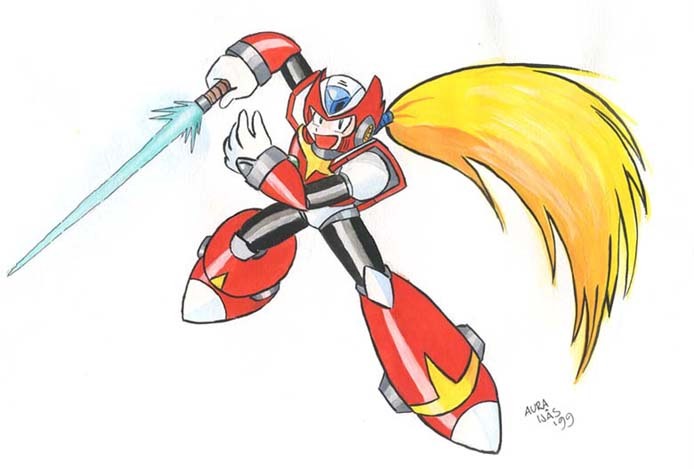 zero4.jpg A cool picture of Zero-sama, brandeshing his saber.